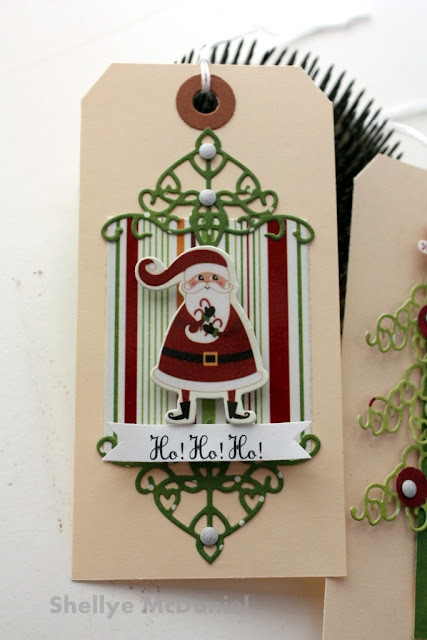 Whimsy by Shellye: Cheery Christmas Cheer! Bing Crosby or Dean Martin. found at most any office supply store. Glitter Hot Rocks and a hand-cut snowflake. out on my printer and trimmed to size. 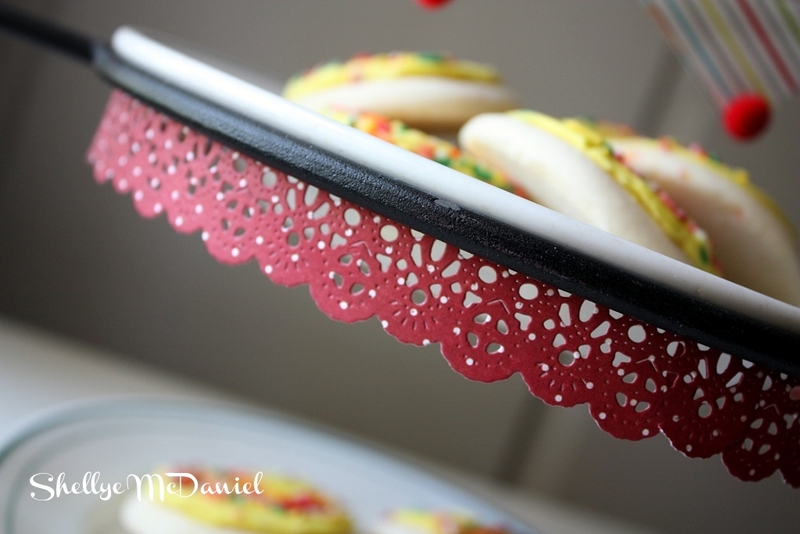 I love the look of a scalloped cake stand, yet I don't own one. to the top with a couple of sticky dots. and Christmas party treats as well. Imaginisce and Cheery Lynn Design Teams this week! Lovely projects. Love the dies. 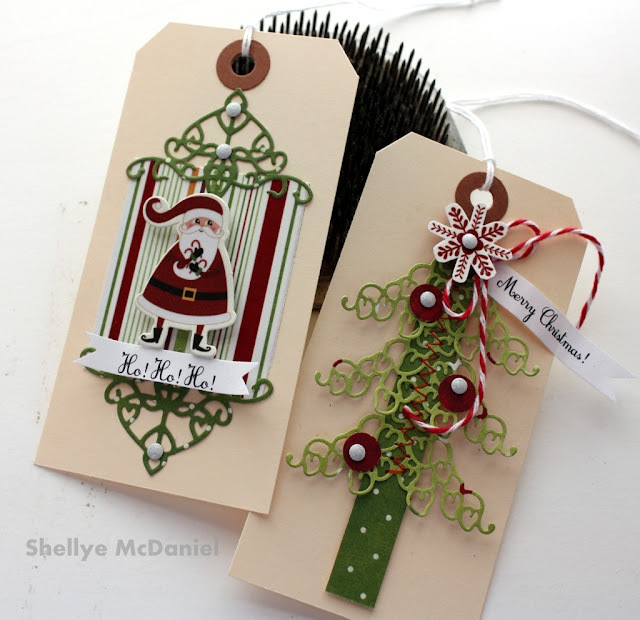 LOVE what you did on those tags Shellye, the tree is such a neat idea! Great idea on your trays too. I don't have xmas feelings yet but LOVE your projects. Those dies are now on my wish list! 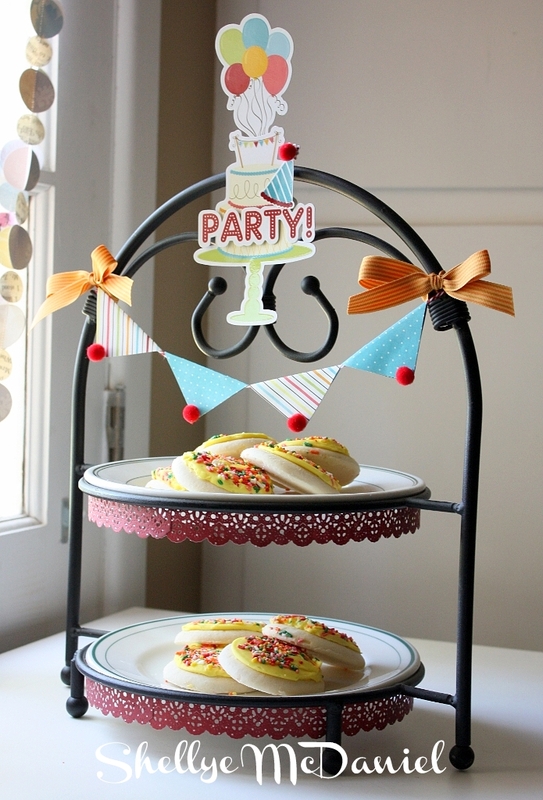 Love the cake stand too! What a great idea to use lace corners for the branches of the tree - how clever is that! And the cake stand is just beautifully decorated! Loooooove them!! 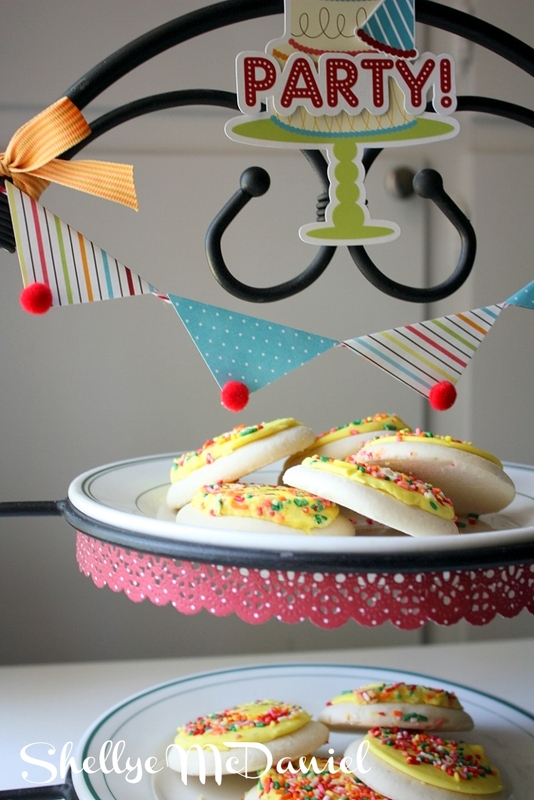 The tags are absolutely wonderful, and that cake stand is beyond perfect! 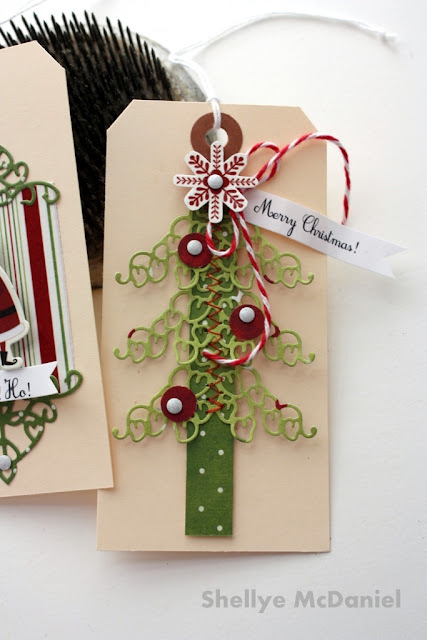 Just adore how you used fancy corners to make the tree!!! !